Skillcapes come in a variety of models, but most of the time they are pretty rare. With that in mind, here you can find a list which includes some of the most common 99s and skillcapes. 1.Woodcutting is maybe the most common skillcape, but it's very easy to get and quite pleasant to have, especially thanks to its bonuses. 2.Firemaking is easy to train, around 23210 people have it. It may not be the best skill, but the skillcape is a lightsource that you can't put out. 3.Fletching is a bit tedious, but it's one of the good 99s that you can have in the game at this point. 4.Magic is an easy 99 to get, and it's very powerful skill to have for those that enjoy being a magician. 5.Defense is an expected 99, and the skillcape acts pretty much like a ring of life. 6.Attack is a combat related cape, and it's really good looking. Plus, you don't need to use tokens to access specific stuff. 7.Cooking is a common 99 and it has a great perk if you want to avoid burning your food while cooking. 8.Ranged capes can be pretty pricey, and you get ammo saving effects, which is pretty good. 9.Hitpoints cape: this one is very hard to get and the bonus you get is that the natural HP restoration is doubled. 10.Strength is the most common 99, and the cape allows you to teleport to the warrior's guild. 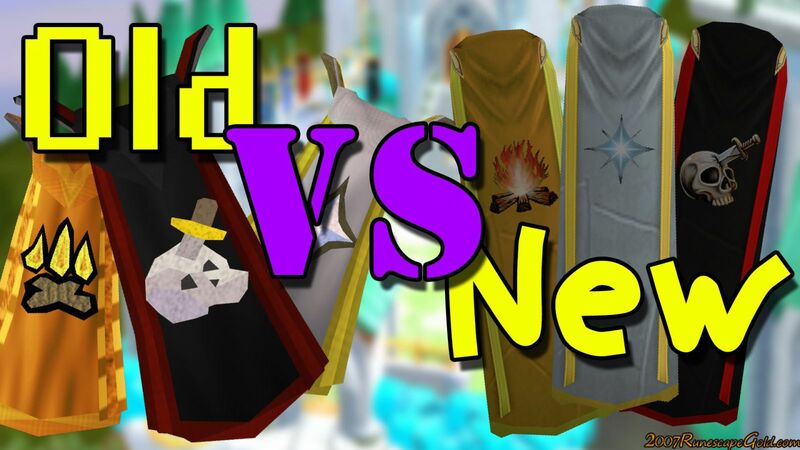 As you can see, these are some interesting and useful 99s and skillcapes. So, if you really want to take your Runescape experience to new heights, you should totally check them out!